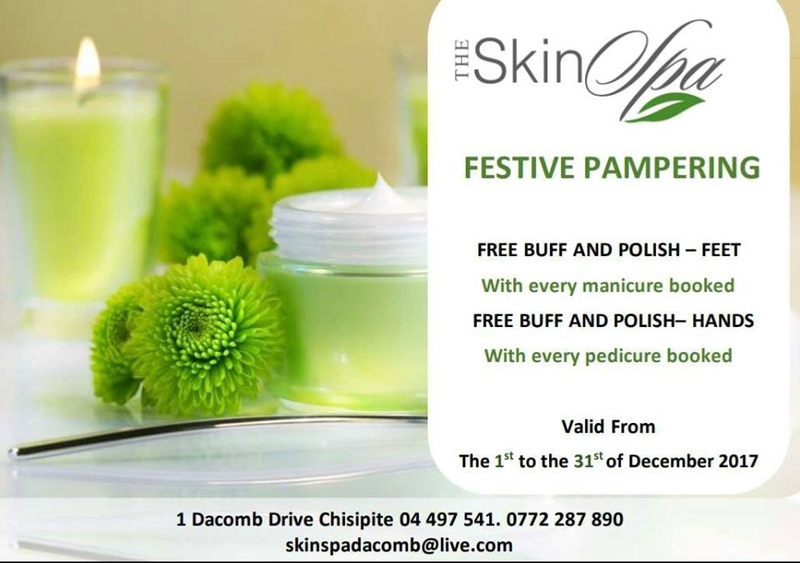 Enjoy a Skin Spa pampering session. FREE BUFF AND POLISH. - Feets with every manicure booked. FREE BUFF AND POLISH - Hands with every pedicure booked. Valid from 1st December 2017 - 31st December 2017.